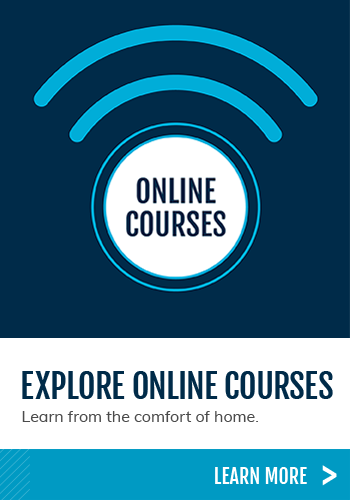 Meridian offers hundreds of courses ranging from floral design to first aid to iPhone fundamentals. We can help if you want to transition to a new career, strengthen your role in your current position or take a personal-interest course and learn something new. You could even get creative and enjoy a date night at our sushi-making class. Many of the short courses have classes during both the day and evening hours and often meet one or two times during the week. Tell us what you want to learn so we can make it happen! Want to receive our monthly short course emails? Sign up here. To enroll in a short course, contact us at 405.377.3333. A non-refundable deposit is required to reserve your enrollment for each class. The deposit guarantees your enrollment and is applied to your tuition. A $50 deposit is required for classes $399 and under. A $100 deposit is required for classes $400 and over. We are happy to refund your deposit if a class is canceled. The balance of tuition is due when the first class meets and is non-refundable. Supplies are not included in tuition, unless otherwise noted. Please be sure to take your projects with you when a class ends. Unforeseen circumstances may cause us to change the date or time of a class. Looking for more in-depth career training? Take a look at our full-time programs. Students from the Agra, Carney, Glencoe, Guthrie, Morrison, Mulhall-Orlando, Pawnee, Perkins-Tryon, Perry and Stillwater school districts can attend either a morning or afternoon session during their junior and senior years. Sophomores can enroll for afternoon programs when space is available. The Meridian STEM Academy is open to sophomores, juniors and seniors. Depending on your high school, students may earn 3 or 4 credits per year. Some of these credits count as electives, some count as academic credits. Your high school counselor can tell you more. High school students typically attend part time for two years. Some programs are available. Learn more about the high school application and enrollment process. Adult students typically spend one year at Meridian when they attend class full time and two years at Tech when they attend part time. Learn more about the application process for adults.